Many fathers look forward to taking their kids to see their favorite teams play as soon as they’re able to walk or cheer. But going to a professional baseball, football, basketball or hockey game can be really expensive – especially if your child won’t even make it through the entire game before needing to go home to nap. Luckily, there are some other options for fathers who want to take their kids to a "real" game. One parenting tip for bringing your children to see a game without blowing your budget is to check out college events in your area. Everything from ticket prices to concessions are cheaper, but the experience can be the same or even better than at a professional arena. 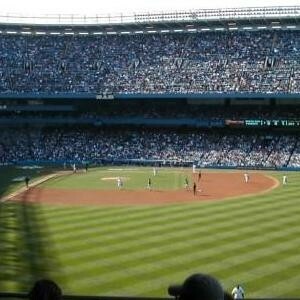 According to Boston.com, the 2008 Major League Baseball team marketing report found that the average family of four spends $191.75 on tickets, food and drink, parking and souvenirs. Minor league ballparks offer the excitement and experience of seeing a real game for as much as 75 percent less. Tickets average about $7 each while food and souvenirs are much cheaper and parking is often free at these parks since they cater to families. "Minor League Baseball continues to lead the way in providing affordable family entertainment to sports fans," said Minor League Baseball President Pat O’Conner. Fathers should also keep in mind that eating before the game and packing snacks like popcorn, candy and bottled water from home can also help keep the cost down.